Live has great story telling skills and shares her opinion on these stories in a strong feminist way. I appreciate it, as I never would have thought about the undertones of these stories. She researches each story and let's you know when there's discrepancies in stories over time. Overall great podcast! you had me hooked at the first episode. Greek and Roman mythology: we all know the basics, but have you ever really considered how crazy some of the stories are? The gods did some pretty weird (and awful) things. 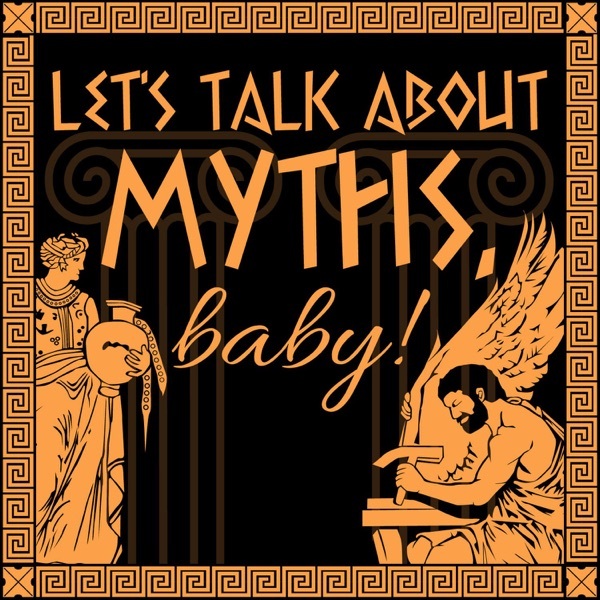 In Let's Talk About Myths, Baby! a myth geek tells stories of different myths in a casual, contemporary, and straight-up blunt way. This isn't your average storytelling podcast: Liv focuses on Greek and Roman mythology's (mis)treatment of women, the insane things the gods did, and the all around incredible minds of the ancient world. I mean, how did they come up with this stuff? Gods, goddesses, heroes, monsters, and everything in between. Mini Myth: Zodiac Constellations, Capricorn, Who is Really Just a "Sea-Goat"
XXXI: Arachne & Medusa, What Did They Really Do to You, Athena? XVIII: Heracles (Hercules) Part Three, Can He Go the Distance? Mini Myth: Goddess Hecate, Work Thy Will! VIII: (Oedipus Pt.1) Don't Mess with the Oracle, Just Don't Do It. Why Would You Do It? Mini Myth: Daphne, the Nymph Who Said "Hell No, Apollo"
IV: Queen Pasiphae did WHAT with a Bull?